Yes! Time management is all about how you decide to spend the rest of your life. Saving or squandering the time is in your hands because you are the whole and sole owner of your precious asset i.e. time. In these days you can achieve milestones and make a mark in your destiny!! Here are a few tips to master before you reach the age of 30. These tips will aid you in experiencing a rising career graph which will not only give you success but will also make you more productive employee. There goes a Spanish proverb which says that “Tomorrow is often the busiest day of the week.” And this is the biggest problem with procrastination. It makes you lazy and inefficient. People who find it hard to let go this habit become victims of poor performance in the productive office hours and are never able to submit their projects within the deadlines. Setting your deadlines will help you overcome the persistent problem of procrastination. Be it your student life, family life or professional life, it is necessary that you set deadlines for the set tasks. Exceeding the deadlines should be considered as your inability to manage time for the specified task. In your professional life also, an important criterion to measure the effectiveness of your performance will be meeting the targets within the deadline. 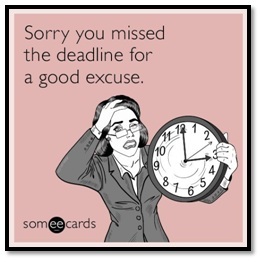 Missing the deadline can often invite penalty too. You might land up in the situation as mentioned by the lady in the someecards. In order to deliver the work within the deadline, you must find out and list the work according to their priorities. Setting the priority will make your day easy to handle and tasks will seem manageable too. The inability to manage ample time available with you is ‘DISTRACTIONS’. It is the cause of worry and must be avoided at all cost. According to the Huffington Post, the average worker spends 6.3 hours a day checking their email. Other distractions such as mobile messages, Facebook and instant chat options also take the toll on the number of productive hours. These distractions will reduce your focus and will render you inefficient to work. But to name a few these were the outside distractions, on the other hand, you need to fight internal distractions too. These comprises of problems, negative thoughts, perceived hurdles in the work, low self-esteem and many more. In order to become more efficient, you need to silence both the internal and external distractions. Do not let these distractions handicap your focus and make you inefficient. Taking short-breaks in between the work is advisable and rejuvenates you. On the contrary, do not lose track of time or get swayed by other trivial tasks. Self-control is a necessary ingredient to master the art of time management because it help you maintain a balance among variety of tasks at hand. This minion sums up the secret to self-control and also mentioned the repercussions of not being able to practise self-control. In the corporate life or wherever you go, your behaviour will be judged on the basis of the degree to which you practise self-control. Meditation acts as a panacea for those struggling to manage time and maintain work life balance. A few minutes of meditation will surely helps you stay focused and calm. As a result, you will find yourself in a better state to concentrate and work efficiently. If a task took six hours earlier, you may now be able to complete it in just three hours. 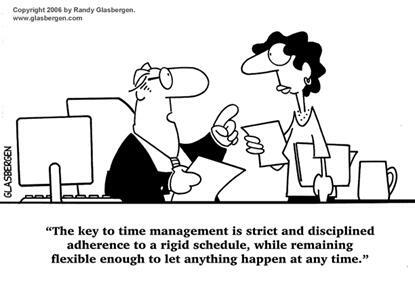 To serve you better, read this cartoon strip below, wherein a boss explains to his employee the secret to time management. Only meditation can help you if this is really expected from you in your workplace. We recommend meditation because it a human nature to indulge in thinking about the past and planning for the future. Meditation will calm the mind and bring it back to the present moment. 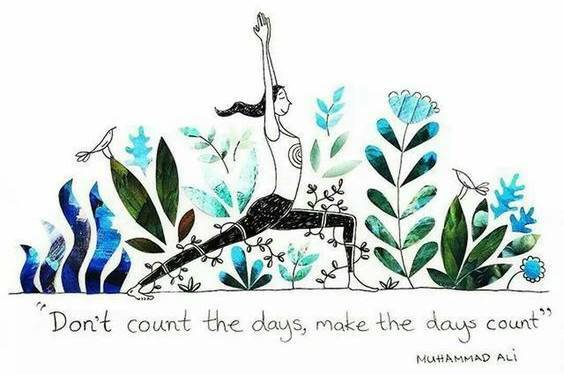 So, when the mind is in the present, we can do much more in the same time span. The key to manage time lies within you and you can overcome these habits to manage your time to put it to best use. After all time is the best asset which holds the potential to make and mar your future. It all depends on you and the manner in which you use it.